Recommended For: Readers looking for a novel about zombies, romance and humanity. I found this book while perusing the shelves at Barnes n Noble a few months back. I was scanning the shelves as I usually do to find barcodes to shamelessly scan into my Goodreads account before borrowing them from the library when BAM! 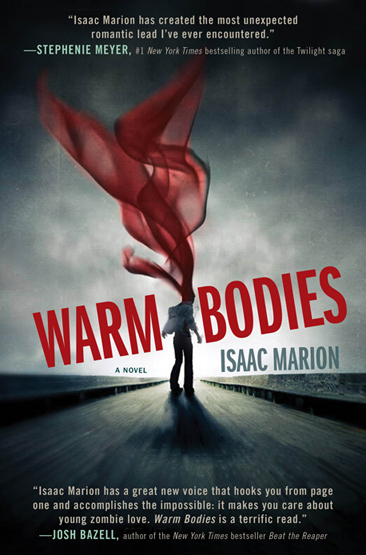 The cover of Warm Bodies hit me like a hammer between the eyes. I was so intrigued, the contrast of dark shades and a red cape flowing from the zombie-esque man to look like gushing blood pulled me right in. Then I read the book jacket: “R is a zombie. He has no name, no memories, and no pulse, but he has dreams. He is a little different from his fellow dead.” That’s it, I had to have this book. There will be no blood sucking vampires or mysterious werewolves, instead there is a main character who eats brains! Brains, because, you know, HE IS A ZOMBIE! As you get further into the story you find that R is a different kind of zombie (are you a good witch, or a bad witch?) and he becomes one of the most lovable characters I have ever met. 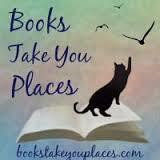 This entry was posted in Reviews, Young-Adult and tagged death, fantasy, paranormal, romance, supernatural, Zombies. Bookmark the permalink.